Voice Collective is teaming up with Raw Sounds to offer you this two-hour songwriting workshop for under-19s, to give you the opportunity and the support to write your own song. The workshop is for young people (under-19) who hear voices, see visions, have other sensory experiences, or experience multiplicity or unusual beliefs. Your song could express your feelings, experiences, what it’s like to be you, or anything else you want to write a song about. 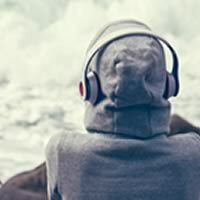 It is up to you what you do with your song, too – it could be a song to combat stigma and get your voice heard, a song to share with friends or family, or it could be a song that remains personal to you. An experienced songwriter from Raw Sounds will be there to share her knowledge of songwriting and to support you to create your very own song, and the Voice Collective team will be there at all times to chat about anything that comes up in the session. The workshop is a great opportunity to meet other young people who hear voices or have other sensory experiences, too! To register your place on this workshop, visit Voice Collective’s Eventbrite page for this event.